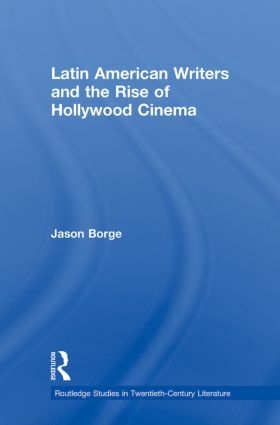 This book analyzes the initial engagement with Hollywood by key Latin American writers and intellectuals during the first few decades of the 20th century. The film metropolis presented an ambiguous, multivalent sign for established figures like Horacio Quiroga, Alejo Carpentier and Mário de Andrade, as well as less renowned writers like the Mexican Carlos Noriega Hope, the Chilean Vera Zouroff and the Cuban Guillermo Villarronda. Hollywood’s arrival on the scene placed such writers in a bind, as many felt compelled to emulate the "artistry" of a medium dominated by a nation posing a symbolic affront to Latin American cultural and linguistic autonomy as well as the region’s geopolitical sovereignty. The film industry thus occupied a crucial site of conflict and reconciliation between aesthetics and politics.